After Victor Fernandez (Fanatic / Duotone / Shamal Windsurfing) won his first World Championship Title in 2010 in Cape Verde, he finally made it back to show us why he is the current PWA Wave World Champion. He took with him Chris from cc.films to capture the best moments for you. Read more about the trip and how important commitment and teamwork is in the following Interview. VICTOR: We had the idea after a good day in Ponta Preta. We were so stoked about the perfect waves and every time I said to Chris that this would be my last wave of the session, I ended up going to the rocks… haha… so I learned my lesson and never said it again - NEVER THE LAST. CHRIS: As Victor said there is no last wave otherwise you go straight to the rocks. I was swimming in Ponta Preta and Victor came by to tell me this was his last wave! I got the shot and just saw him swimming! VICTOR: We were shooting for 6 days, at least 2 sessions per day. We were first shooting for a brand new sail of Duotone, which will come out soon. After that we focused on getting as many sessions as possible in Ponta Preta, before the GKA Kitesurf World Cup started. 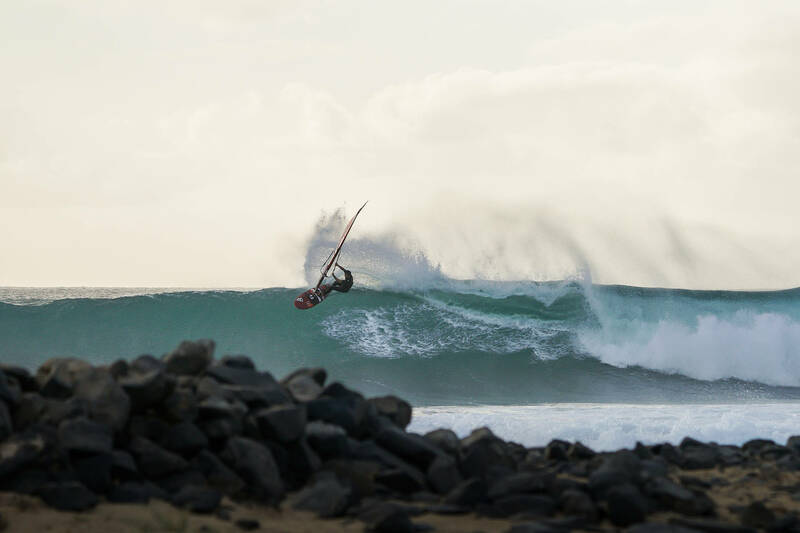 We also had some big days at Ali Baba and we went to little Ho’okipa on the small days to shoot some tricks. CHRIS: For me it was the first time on Sal. I was impressed by the power and the speed of the waves. I think we were super lucky with the conditions and Victor could be sending it day-by-day. What more could I ask? VICTOR: I had many good sessions during this trip. The waves were so perfect that it is hard to say which day was the best. I guess the session at the spots Ponta Preta and Ali Baba were my favourite. I love to feel the power and ride the perfect wave in Ponta Preta and if you can make the whole wave from the point to the beach in Ali Baba it is 1 km. I have a few waves on my GoPro of 1 minute and 35 seconds, so you can imagine how long it is, but this wave is also fast and if you crash you end up in bad rocks. CHRIS: For me to see Ponta Preta for the first time. It's so impressive, you are so close to see the power and the speed of this perfect wave. And of course swimming there and shooting with Victor ripping in front of the lens. CHRIS: I used the Panasonic EVA1 and my GH5 for the watershots. And of course a GoPro which Victor lost after some proper waves over him. We were not that lucky to find it again but a few days ago Victor told me that some locals found the GoPro :) so we were lucky in the end. VICTOR: Most of the spots in Sal are for very advanced rider, especially if you go to any of the spots in the West or North. The waves break near the rocks and it is very easy to break your gear. The wind is super light, no planing conditions, which makes it perfect once you are on the wave. There is one spot, which is for beginners and that is in Santa Maria in front of the ION club. This spot is mostly flat with a sand beach and they have professional staff to rescue you if you drift off.